I am sure the topic is self explanatory! If not, in the present day how many hours are we completely screen-free? Should we be screen free? I believe we should. I am no science expert but it seems pretty clear that being glued to gadgets most part of the day is not a good idea. Most of us unconsciously do have screen-free times, like cooking, spending time with your family, exercise, hobbies.But there get intertwined with taking pictures, updating statuses on social media or even watching a game with family does not fall under screen-free. Try to consciously plan screen-free hour(s) every week and write about it. It could be something you already do, a new hobby, reading , writing(not typing!) , travel, friends, family etc. Of course we do need pictures for our posts but try to take them at the very beginning or the very end of the challenge. 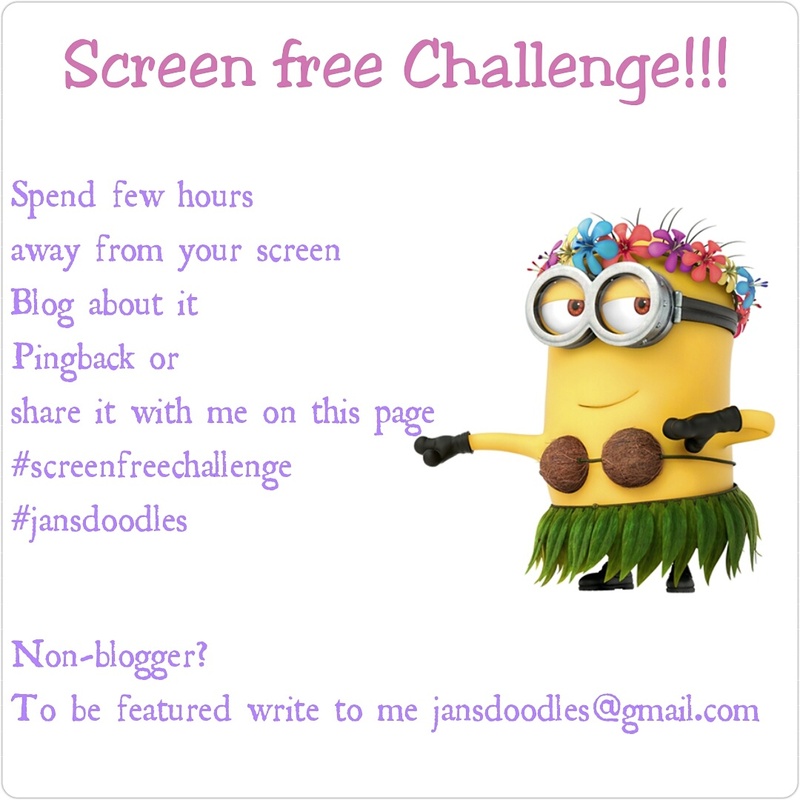 Pingback to this page and use the tag #ScreenfreeChallenge for others to read. I will list the participant posts on this page over time. Here goes the first person who contributed for this challenge. An account of a nature lover who went solo hiking in the alps. Read on :Solo hiker! The second article was contributed by a dear friend on Adult Coloring . Hear Hear- about Adult Coloring! I request everyone participating to read other posts and reblog them. P.S. This is my first time trying to organize a blogger event so if you do have any suggestions please post them in the comments sections. Here is the link on WordPress Daily Post! This is a great idea. I’m hoping to do this challenge later in 2016. I will be back. Got a few other things planned until springtime. Thanks for the inspiration. Is this still on going? I’m looking for blogging events and this sounds great!